Andrew Sentance was born in 1958 in the Wirral, across the Mersey from Liverpool. In the early 1960s, his family moved to Shooters Hill, in south-east London, and he attended the local school, Plumcroft, before moving to Eltham College – spending three years at the Junior School (1966-69) and a further seven years completing his secondary education (1969-76). 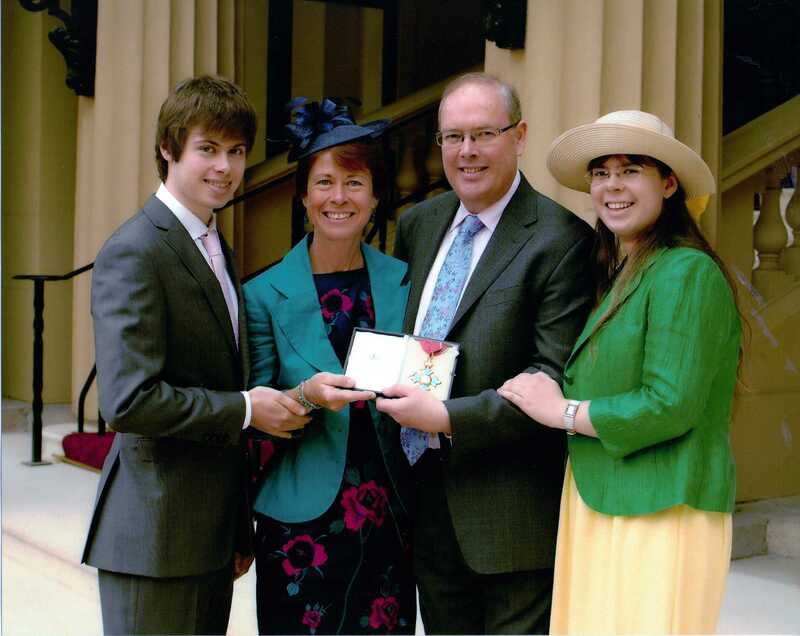 At Eltham, he started studying economics at A-Level, alongside maths and history, winning a place at Clare College, Cambridge, to study Economics. 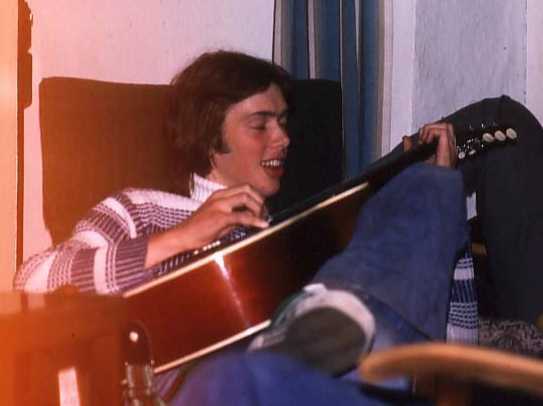 Before taking up his place at Clare, Andrew spent four months working as a volunteer at a children’s home in Aboyne, Scotland, and during the summer of 1977 – when “punk rock” was at its height – he worked in a record shop called Recordsville near Victoria Station. From 1977 until 1986, Andrew studied Economics at Cambridge University and the London School of Economics (LSE). After completing his first degree at Clare College, he worked for a year as a petrol station manager for Petrocell Ltd and went on to study for an MSc in Economics at the LSE (1981-82). After a year working as a management trainee for the National Coal Board, Andrew returned to the LSE in 1983 to study for a PhD, supervised by Charlie Bean (who was later a colleague on the Bank of England Monetary Policy Committee). While at the LSE, Andrew also collaborated with Richard Layard on a book: “How to Beat Unemployment”, published in 1986. Andrew joined the Confederation of British Industry (CBI) in September 1986 as a Senior Economist responsible for economic policy. He worked on a number of major projects, including the City/Industry Task Force which explored concerns about financial market short-termism. He progressed through a number of management roles, becoming Head of Economic Policy in 1987 and CBI Director of Economic Affairs in 1989 – at that time the youngest CBI director ever to be appointed. He established a number of new CBI surveys and helped to raise the profile of the CBI on economic issues through his media appearances. His time at the CBI included the “Lawson Boom”, the early 1990s recession, and the UK’s brief period as a member of the European Exchange Rate Mechanism (ERM). In late 1992, Andrew was appointed to theTreasury Panel of Independent Forecasters (also known as the “Seven Wise Men”), providing advice to the UK government in the wake of the departure from the ERM. While at BA, Andrew also assumed responsibility for the company’s activities on airport regulation and environmental strategy, and acted as a public spokesman for the company on these issues. He was actively involved in discussions within the International Civil Aviation Organisation (ICAO) on the aviation industry’s response to the challenge of climate change. He was also a trustee of the two main BA Pension Funds from 2002 until 2006, and Chairman of the Pension Funds’ Investment Committee. Andrew Sentance’s appointment as an external member of the Bank of England Monetary Policy Committee (MPC) was announced in July 2006 and he joined the Committee in October the same year. He served a shortened first term and was then reappointed for a full second term from June 2008 to May 2011. His period of office was the third longest of any external member who has served on the MPC, during which time he delivered a record number of official public speeches (27) for an external member of the Committee. Andrew’s period of office included the global financial crisis of 2008/9, the ensuing recession and the beginnings of economic recovery. In response to this turmoil, the UK Bank Rate was reduced to a historic low level of 0.5% and the MPC sanctioned a massive monetary injection of £200bn through its policy of Quantitative Easing. In his last year on the Committee, Andrew argued for a gradual rise in UK Bank Rate to respond to the emerging economic recovery and persistently high UK inflation. Though this position attracted the support of two other MPC members in early 2011, the majority on the Committee voted to keep the UK policy interest rate unchanged at 0.5%. Since autumn 2006, Andrew has also held a part-time academic appointment at the University of Warwick, and is currently a part-time Professor of Practice at Warwick Business School. At Warwick, he helped to develop and support research on the future “low carbon society”, resulting in the launch of the Warwick Low Carbon Society Initiative in 2009. He has also helped to develop the Warwick Global Energy MBA programme. He was a warded a CBE (Commander of the Order of the British Empire) for services to the economy in the 2012 New Year Honours list. In November 2013, Andrew’s first book Rediscovering Growth: After the crisis was published. Andrew is married to Anne and they have two children, Tim (b.1989) and Rebecca (b.1991). His main interest outside work is music, and he is member of the south Essex band, Revelation. He also plays the organ at Horndon-on-the-Hill and Bulphan parish churches.